It was inaugurated all the way back in 1861. This race is positively steeped in rich history and that helps to ensure its status as the top-ranked event for three-year-olds in Australian and New Zealand race classifications. It was originally run at 1.5 miles and then changed to 2,400m in 1972 as the metric system was introduced. It is a set weight contest for three-year-olds only, and it has seen some very famous winners over the years. It’s A Dundeel, Octagonal and Bonecrusher are some of the most famous winners, while Levendi beat Ace High in a thriller last year. There was all manner of controversy as Tye Angland, rider of Ace High, sounded the protest alarm, arguing Levendi twice laid in and made contact in the final 100m, while Corey Brown suffered chest injuries in a fall. The race often produces plenty of drama, and punters should expect another exhilarating spectacle this year. 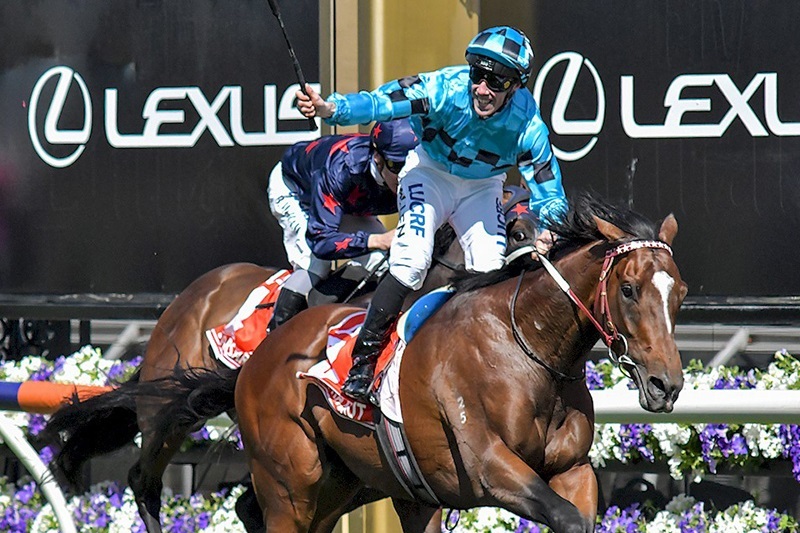 Colts and geldings dominate the Australian Derby. Shamrocker is the only filly to win this race in the past 27 years as the males have totally dominated proceedings. Part of the reason for that trend is that the Australian Oaks takes place over the same distance the following Saturday and many prefer to rest their star females for that. You do see a few fillies gunning for glory though and they can take inspiration from the performance of Shamrocker, who upstaged the boys for a second time in 2011 and raced into the history books. That saw her become the first filly to ever win the Group 1 Australian Guineas / Group 1 AJC Derby double, and it sparked scenes of celebration in her native New Zealand. Eleven favourites have won this race in the past 36 years. The last favourite to salute was Criterion at $2.88 as he surged to victory in 2014. Since then Mongolian Khan won at $6.50, Tavago defied odds of $31 to win in 2016 and $7.50 shot Jon Snow landed the race in 2017. Last year Ace High went off as the $5 favourite and he lost to $6 second favourite Levendi by a nose. This year it looks like either Chapada or Global Exchange could go off as the ATC Australian Derby favourite, according to the odds currently listed at https://www.punters.com.au/. The shortest priced favourite was It’s A Dundeel, who headed into the 2013 renewal in sensational form and lived up to the hype by winning at just $1.25. 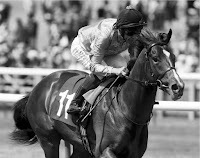 The worst performing favourite in recent times was Sunray, who finished 11th. Barrier 8 has yielded seven winners since 1983. That makes it the most successful barrier in that period, although Barrier 1 is not far behind as it has produced six winners. Barrier 3 has yielded five winners, while Barriers 2, 4, 9 and 14 have accounted for two each. Barriers 5, 7, 10, 11, 12, 13, 15 and 16 are the least successful, with just one win. Last year’s winner, Levendi, came from Barrier 3, while second-placed Ace High was in Barrier 2. Barrier 8 failed to live up to its name as Mission Hill finished all the way back in 13th place. Octagonal holds the record time for this race. ‘The Big O’ was an absolute legend and he remains the last horse to have won the Triple Crown. He was crowned Australian Champion Two-Year-Old after delivering a superb autumn campaign and he roared into his three-year-old season with tremendous promise. 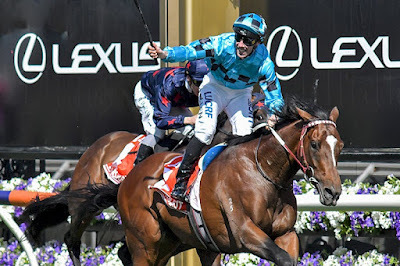 He delivered on that in style, landing the Cox Plate, the Victoria Derby, the Canterbury Guineas, the Rosehill Guineas and the Mercedes Classic, all at Group 1. ‘The Occy’ capped it all by seizing the Australian Derby in his final appearance of the season, leaving Saintly and the rest of the chasing pack well behind. His time of 2:28.41 remains a record to this day and it would take a phenomenal effort from one of this year’s hopefuls to knock Octagonal off his perch.